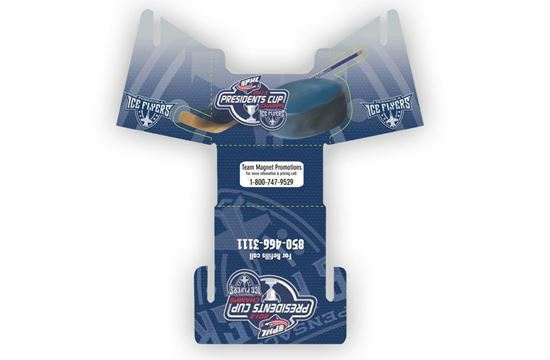 Custom designed with your team logo and pertinent information, these pocket schedule holders are perfect for countertops and desks. The business owners in your area will be proud to show their team spirit while prominently displaying your pocket schedules. 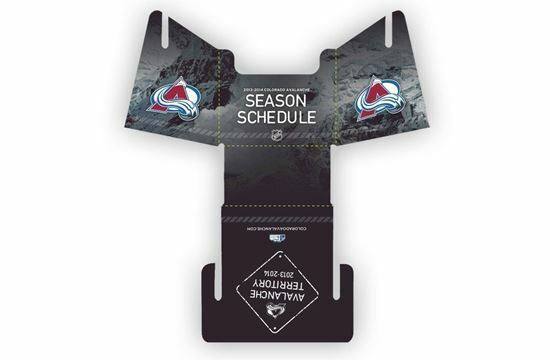 Innovative and inexpensive, these sturdy holders keep schedule cards together neatly. Available in several sizes and custom shapes. Team Magnet Promotions.com is the sports division of Graphic Business Solutions (GBS). Since 1999, we’ve been the country’s leading manufacturer of magnetic promotional items to the professional sports industry. 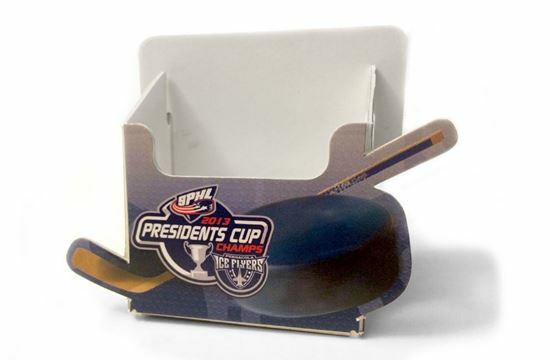 In addition to supplying over half of America’s sports teams with magnetic schedules and other magnetic promotions, we also produce autograph books, promotional photo books, puzzles, and more — all made here in southern California. Our professional sports clients include football, basketball, baseball, hockey, NASCAR, soccer, and arena football teams. Additionally, we work with collegiate football, basketball, volleyball, soccer, hockey, baseball, softball, wrestling, and gymnastics teams. Team Magnet Promotions is a division of Graphic Business Solutions. Copyright © 2019 Team Magnet. All rights reserved.